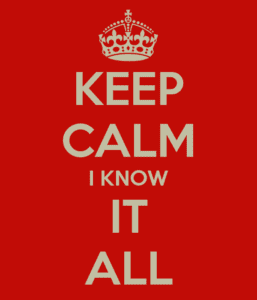 The Blog Great Leaders should know it all! Great Leaders should know it all! 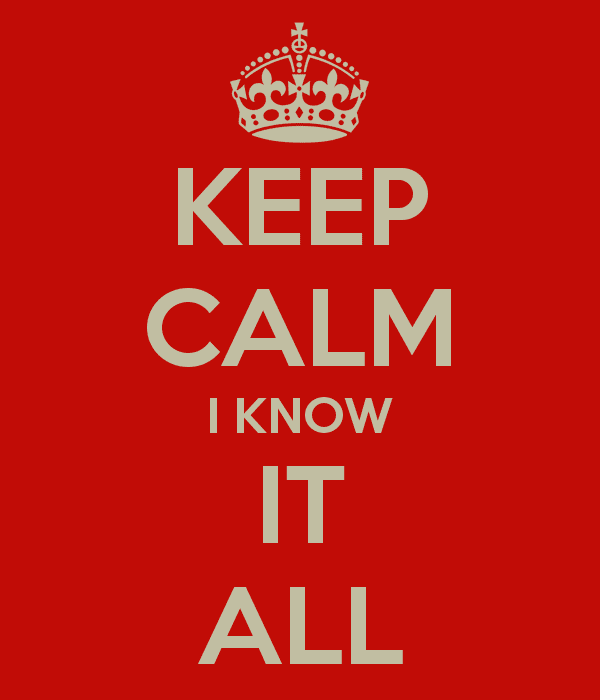 As a leader do you feel pressure to ‘know it all? Do you feel you should at least know more than the people you are leading? Isn’t that a reasonable expectation of your team and a key characteristic of Great leaders? I had an interesting encounter. One of my clients, a senior Politician said in a meeting with his Cabinet colleagues that he didn’t understand a particular matter that was up for discussion. Whilst I admired his honesty and the fact that he didn’t want to remain ignorant I got to thinking about the wisdom of this disclosure. My experience is that Great leaders are able to be ‘real’ with others, that is authentic leadership. However, authenticity doesn’t mean you tell everyone everything at all times! In other words – it’s unwise to share our vulnerabilities with persons who are not for us, and in the political arena even those on your own team may not always be for you! The lack of understanding my client displayed was in something technical and which several of his colleagues thought was quite basic as many of them were in technical positions previously, whereas he was not. The faces of his colleagues showed their disdain at his question …so was this disclosure the best thing? We trust leaders who are competent. I know what it’s like trying to build credibility when you don’t know it all. At an early age I became an Assistant Manager. Most of the team was older than me and had been in their jobs a long time. I had good working relationships, none-the-less my promotion was not without it’s skeptics. My biggest source of credibility was much like my client, the politician. I connected with my team by being an Authentic Leader. For me that meant admitting what I didn’t know and asking for their help. In short I gained their trust by not faking it. I also had some level of competence in my weak areas. Being competent doesn’t mean knowing it all. How often have we heard it said; ‘focus on what we do well and not waste time trying to develop our weak areas . I don’t think that’s realistic for a Great Leader because as I said people expect leaders to be competent. But we can be ‘good enough in our weak areas. We need to know what we don’t know so we can develop to a level of competence that if we have to function in our weak area we can. Not as a star performer but ‘good enough. We also need to build a team that when we function together, collectively we are strong. So in answer to my own question – Should Great Leaders know it all, simply put NO. They need to know how to lead and either they can learn the rest or at least learn to be competent enough, and, build a team that knows the technical stuff they don’t. It reminds me of Henry Ford who was labelled by the Tribune in 1916 as “An Ignorant idealist…“ and his subsequent libel trial actually proved how little he knew. Yet he built one of the largest car manufacturing companies in the world and we are still quoting lessons from his leadership even today. So clearly Great leaders don’t need to know it all! For past 10 years we have proven success with our global clients in Business transformations, executive leadership coaching, and team development, see our case studies and testimonials. We have a passion for working with leaders to solve key business challenges by unlocking their potential and that of their team so they can deliver results. 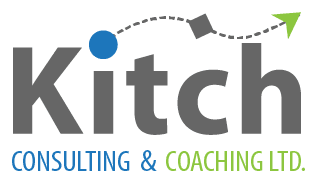 Kitch Consulting & Coaching Ltd. Copyright 2018 Kitch Consulting & Coaching Ltd. | Solved by CrossMedia Inc.